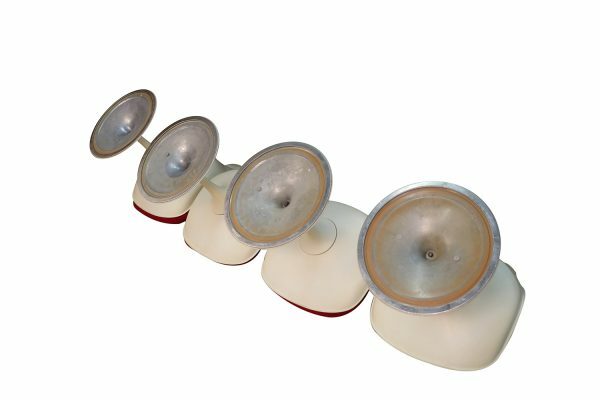 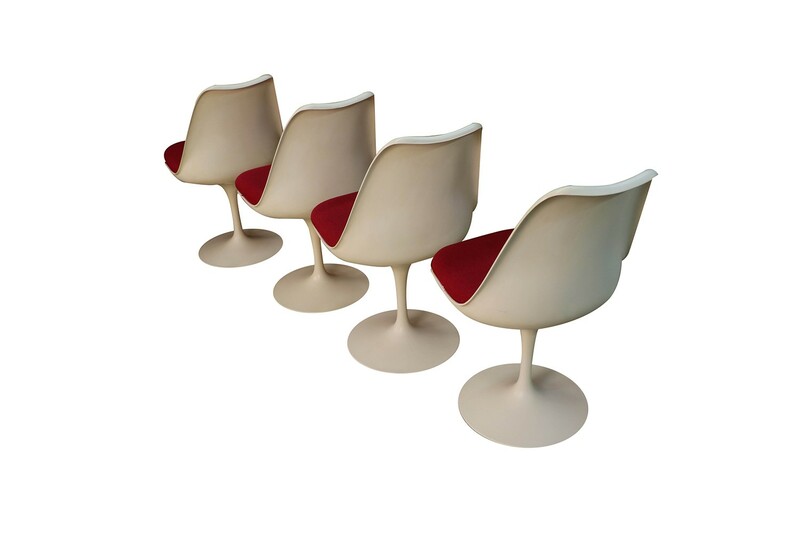 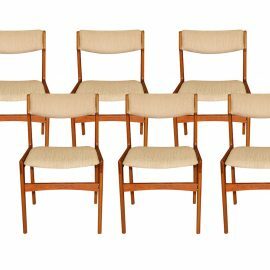 Classic mid-century modern set of four armless tulip swivel, side, dining chairs, for Knoll designed by Eero Saarinen (USA 1910-1961) for Knoll Furniture International in 1956. 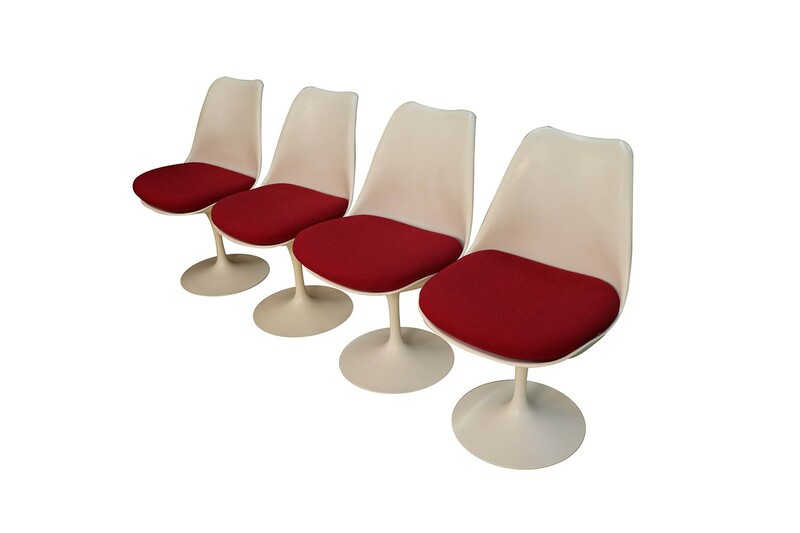 Features molded white fiberglass form resting on cast aluminum base with, original knoll removable cushions. 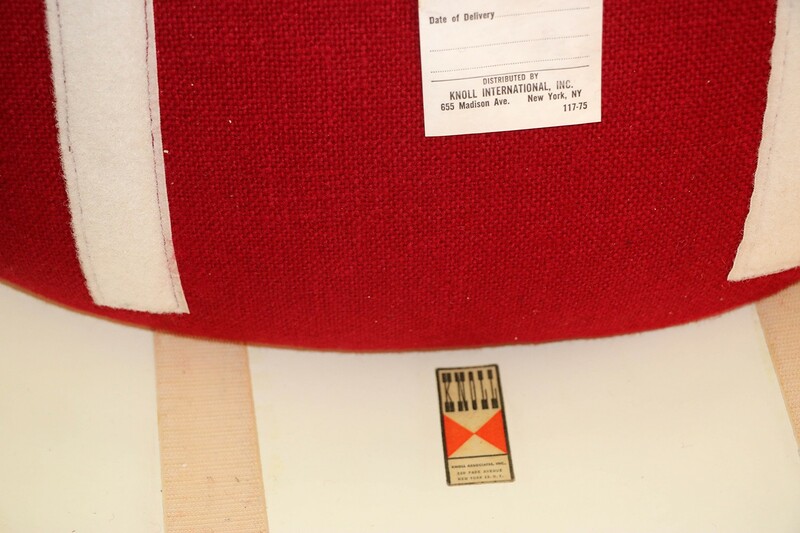 Genuine Knoll chairs and Retains the ‘Knoll Associates Inc’ label attached to the underside and stamped BR 51. 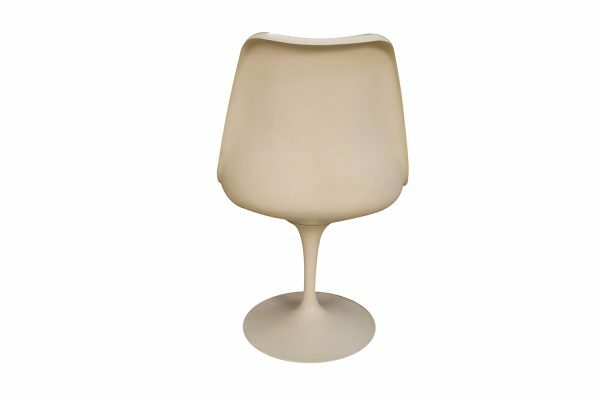 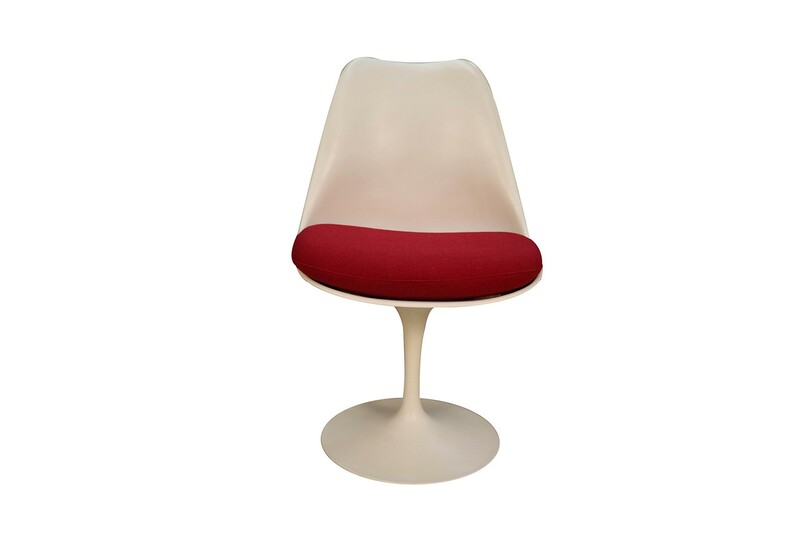 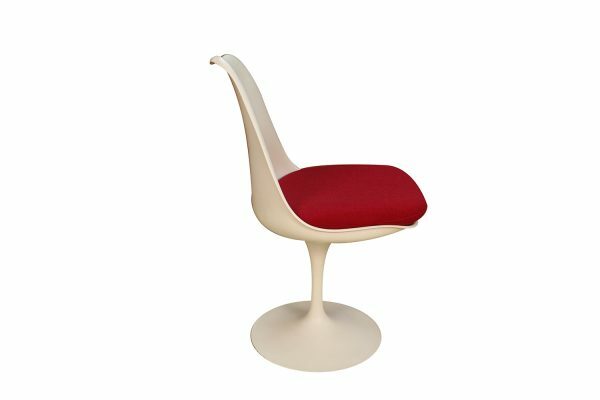 An elegant and iconic design with its distinctive tulip shape. 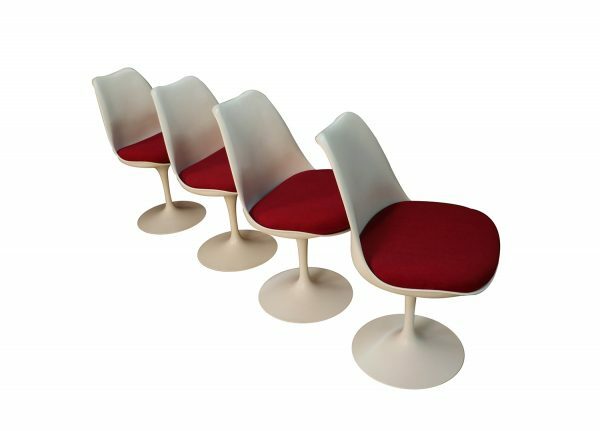 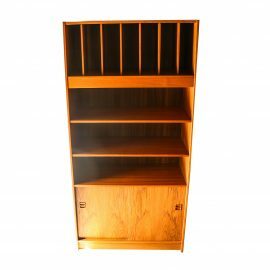 This time-honored example of mid-century modern design can be incorporated into virtually any decorating style for additional seating in any room of your home or office effortlessly. 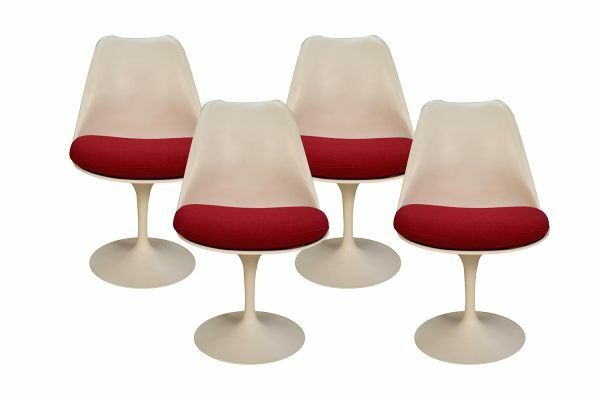 Also available for sale is matching Knoll tulip table (sold separately). 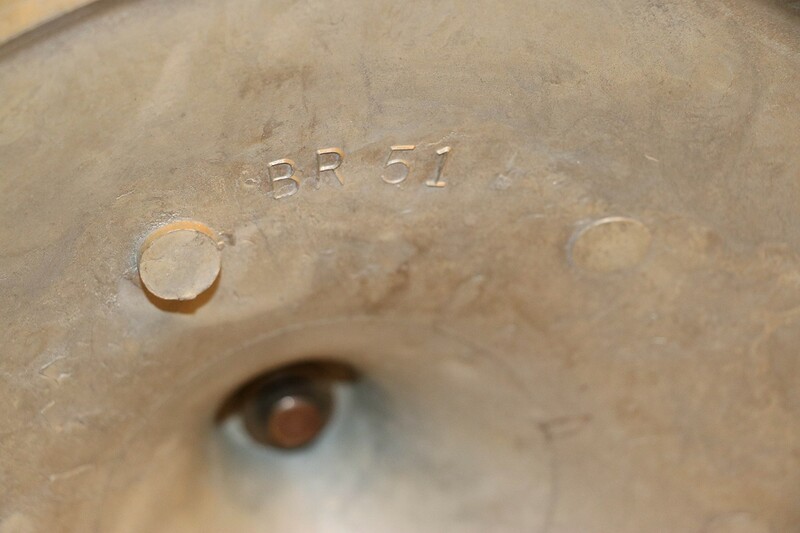 Condition Report: Original finish, overall gorgeous surface condition with typical scuffs. 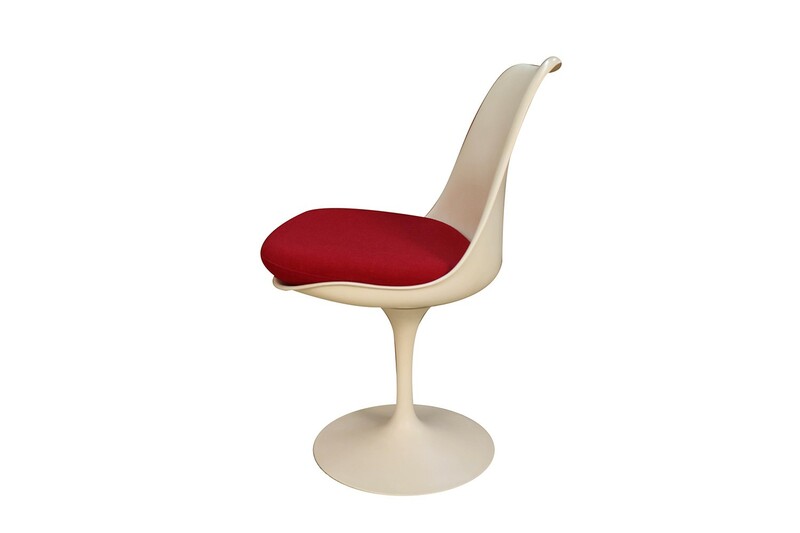 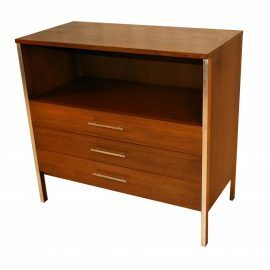 This Knoll model swivels and is mechanically in perfect condition. 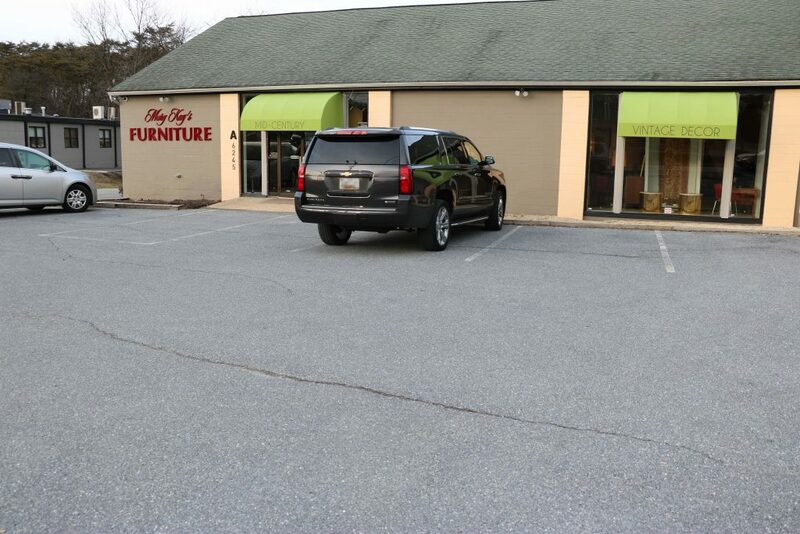 Original upholstery, no tears, minor discolorations, very comfortable and supportive. 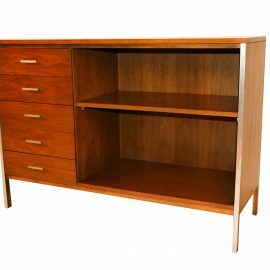 Frame is sturdy and strong.